Jay Mansfield knew that he wanted to airbrush Admiral from Rangers’ kit history, so much so that he didn’t mind whether it was by an extension of Umbro’s tenure or the adidas deal brought forward two years to 1990. Following discussions, he told us to do an Umbro set for 1990-92 and his adidas concept will appear on his fine blog soon. 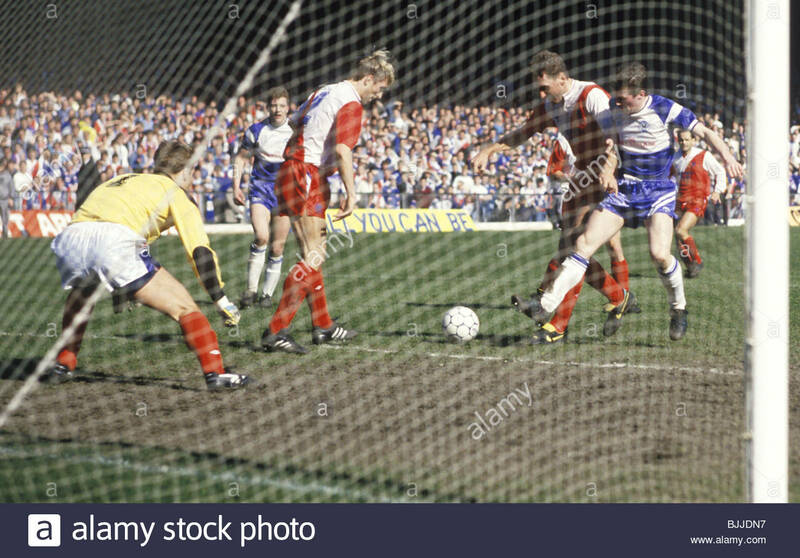 For the home, the base is the Nottingham Forest kit of the time (with the same fabric pattern as used by Ribero), though with the Scotland sock design used – this was a time when Rangers had blue below the knee rather than the classic black and red. For the away, Jay opted for the style used by Aston Villa that season, which also featured on the Derby County 1991-93 away strip. However, in order to differentiate from the real Admiral away, and follow-on from the ‘mirrored Monaco previous change kit, red is the secondary colour with blue as the tertiary. As always, views and future requests are welcome, contact us @museumofjerseys on Twitter.